Health - St. Mary’s B.N.S. St. Mary’s BNS aims to help all those involved in our school community, children, staff and parents, to develop positive attitudes to eating and healthy living. 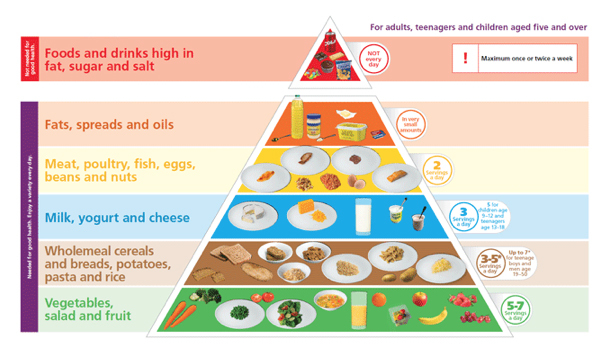 To help achieve this, our guidelines will reflect good eating habits. These should be established at an early age. We have a Healthy Eating Policy in St. Mary’s and healthy eating practices are encouraged. Healthy Lunches are Drinks are promoted each day with one treat permitted on a Friday. At least 2 portions from the bread, cereals group. One portion from the meat and the meat alternatives group. 2/3 portions from fruits and vegetables. One portion from the dairy products. The following foods do not support a healthy lunch policy and should be excluded from your child’s lunch box; crisps,popcorn, sweets, bars including cereal bars, cakes, biscuits, lollipops, chocolate, chocolate spread, winders, crispie buns and especially peanuts. Healthy choices of drink include water, milk and unsweetened natural juice. Children should be encouraged to use re-useable containers for safety and litter reasons. According to the HSE; “there are no recommendations for the amount of water or other fluids children need. However, like adults, to stay healthy it is important for children to replace the water they lose to prevent dehydration. It is also important to remember that children will lose more water in hotter climates and when they have been physically active. Lunch is eaten in the classroom during the time provided. Pupils are requested to bring home uneaten food.. No food or drinks are permitted in the yard. In the interest of safety, cans and glass bottles should not be brought to school. Chewing gum is forbidden in our school or on any school-related activity. Children are asked not to shares lunches for health and safety resasons. It is important that parents and children are aware that some pupils in St. Marys have allergies to particular foods. Each year teachers, pupils and parents are informed of the allergies in the school and their respective classroom. In St Mary’s Parents, Children, and School Staff strive to work collaboratively to minimise the risks certain pupls face with their allergies. The school must be made aware of each pupils individual allergies. The number of boys with nut allergies is on the increase. 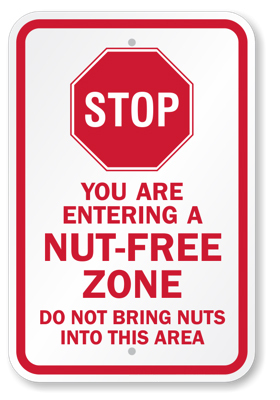 There is not a total ban on nuts, as it is impossible to prevent nuts from entering the school. However we can strive to make classrooms as nut free as possible through our “Nut Allergy Awareness Programme”. This initiative incudes various reminders to parents, pupils and teachers. Each pupil recieves a Nut Free Zone sticker for their lunchbox and staff are grateful for parents efforts in supporting this. Staff are trained to administer medication to any pupil who has an Anaphylactic shock. In St Mary’s BNS we aim to provide a broad and balanced physical education programme. We also aim to encourage pupil’s skills and talents in the area of sports while offering them opportunities to certain sports they may never access.The children participate in P.E class each week and wear their tracksuit on these day(s).